Hi there, I'm new to the forums and I apologize for coming right out of the gate with a question, but this has got me a little concerned. Late last week I noticed the end of a tree in my backyard (which was cut at least two years ago, before I moved in) has started to grow (or seep?) this material. Any clues? Is it a fungus? Should I be worried? It's been raining a lot and I live in the Twin Cities of Minnesota. Thanks ahead for any advice! 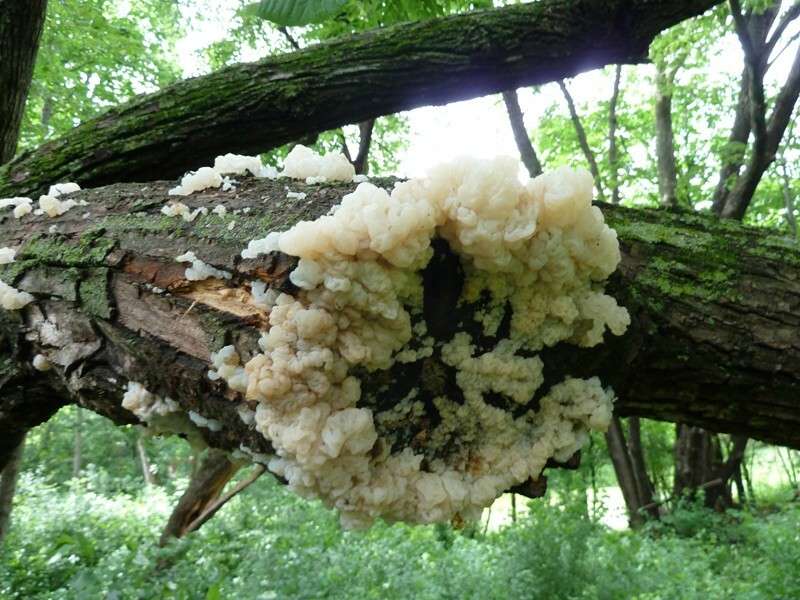 It's a fungus, but I don't know the exact species. 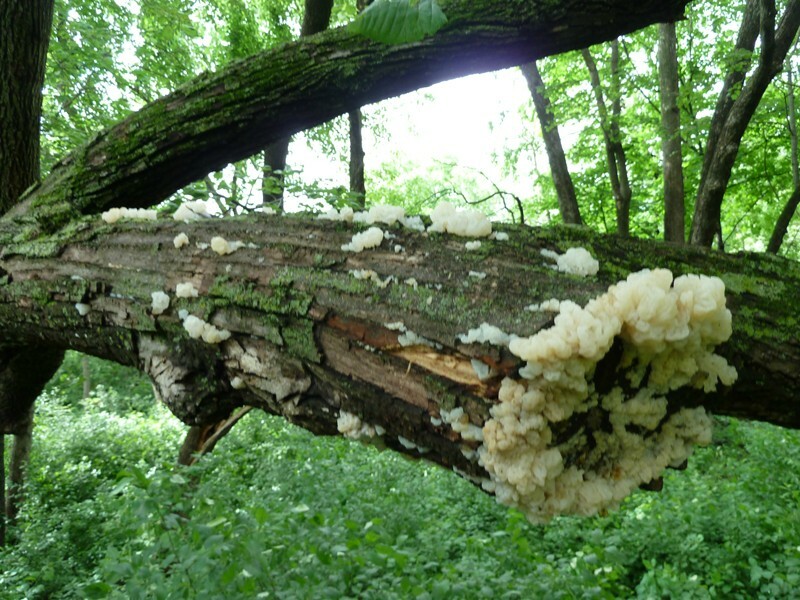 Fungi grow on dead and dying wood. I'm not a "tree person", so I'm not sure what to tell you to do about it, other than, perhaps, to cut off the dead parts of that limb. I would cut it close to the trunk, and take the limb above it, as well. It would probably be a good idea to treat the cut with a fungicide afterward, or at least tree paint. JMO. I suggest you wait for one of our members who have experience with trees to provide you with a more detailed answer. Welcome to the forums, and never hesitate to ask a question. Kisal wrote: It's a fungus, but I don't know the exact species. Fungi grow on dead and dying wood. I'm not a "tree person", so I'm not sure what to tell you to do about it, other than, perhaps, to cut off the dead parts of that limb. I would cut it close to the trunk, and take the limb above it, as well. It would probably be a good idea to treat the cut with a fungicide afterward, or at least tree paint. JMO. Thanks for your initial impression --I was wondering if that might be the case. I'll see if one of the more tree-experienced people have other thoughts I hope I can preserve the tree, which is growing leaves and seems healthy otherwise. I'm not one of those more experienced tree people, but IMO it is definitely some kind of fungus and if the rest of the tree is still alive and growing, you would want to get rid of that. As Kisal said, I would cut the branch with the fungus off right near the trunk just leaving the branch collar and then coat the wound. 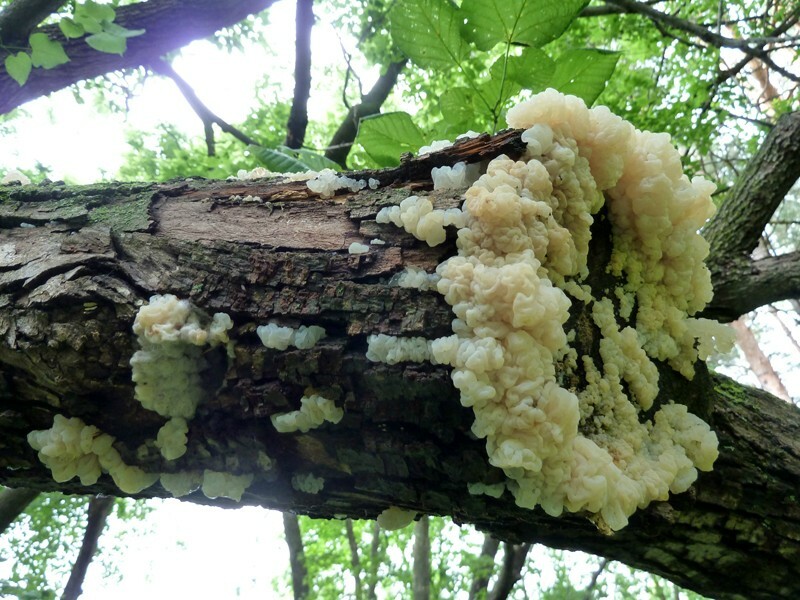 What is growing at base of my tree? Imagine a tree growing 25' in a year.